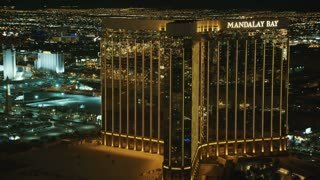 4K ES: The Mandalay Bay Luxury Resort Hotel and Casino Las Vegas - Circa 2016. Filmed using Sony FS-5 w/ Zeiss 28mm Prime Lens in 4K at 30P. 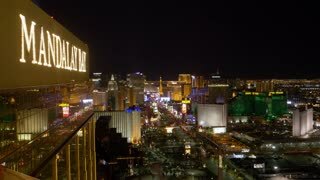 LAS VEGAS, NEVADA, Circa, April, 2017 - A unique high angle realtime view of the Las Vegas Strip at night as seen from atop of Mandalay Bay Hotel. Myanmar. Map. Zooming into Myanmar on the globe. 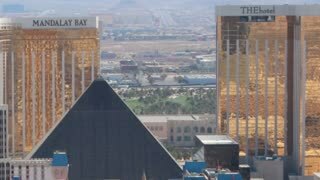 HD Aerial Skyline Flyby: The Mandalay Bay Luxury Resort, Hotel, and Casino on The Las Vegas Strip. 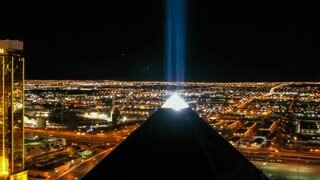 Filmed in HD using a CineFlex V.14 Stabilized Helicopter Platform. MANDALAY. MYANMAR - 13 JAN 2014: Gold leaf production by creating equal piece of an extremely thin unbroken sheet for use in gilding. Close up.